Generator’s board of directors are pleased to announce Kristina Lemieux as the arts hub’s new executive director effective Jan. 16. Lemieux boasts a long list of credits from major organizations and festivals, to independently producing for dance companies, to her self-initiated program Scaffold, a shared platform that supports a range of independent artists and small-incorporated arts organizations. Lemieux is an accomplished arts administrator with more than 18 years of experience, and contemporary dancer. Her passion for the arts has driven collaboration, creation and innovation in the Vancouver arts scene for the last decade. She has worked with many of the Vancouver’s art organizations: Arts Umbrella, New Works, Out On Screen (Queer Film Festival), Vancouver International Bhangra Celebration, Playwrights Theatre Centre, Canadian Alliance of Dance Artists/West Chapter (CADA/West), Tara Cheyenne Performance, Theatre Replacement, Progress Lab 1422 (a project of Vancouver Creative Space Society), Vancouver International Dance Festival (VIDF) and Vancouver Art Gallery. She is also the Artistic Producer for Brief Encounters, a production company that supports, enhances, and amplifies the work of interdisciplinary artists and spaces that light the fires of diverse, interdisciplinary creation. Recently, she launched The Scaffold, a consulting, administration and skill development service designed to support performing artists and groups. She currently acts as a director on the Board of Directors for 110 Arts Cooperative (The Post at 70), Up in the Air Theatre (rEvolver Festival), and Music on Main and is an Ally member with the Indigenous Performing Arts Alliance (read more about her philosophy on that here). 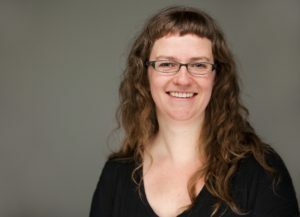 Lemieux is most passionate about dialogue in the arts, and to this end, achieved a certificate in Dialogue and Civic Engagement, has founded a series on audience engagement and citizenship and is co-founder of Polymer Dance, a group dedicated to bringing dance experiences to non-professional dancers.